People have used essential oils for their ailments for centuries; there are records of essential oils dating back as far as Ancient China, Indian, Egypt, and Southern Europe. In fact, there are some essential oils that have been used as a part of the process of embalming the dead; this is something we know because of trace oils found in tombs from more than 2,000 years ago. The best part about essential oils is the fact that they are completely natural. They’re made from leaves, from the roots of plants, from bark, and from flowers. The best oils are those that have not been diluted with additives, making them more potent and effective for treating different health concerns. Over the past few months, we've gotten many requests about discussing essential oils for heart palpitations and that is why we've written this article. Heavily studied oil that calms the nervous system, reduces stress and anxiety. Also a mild sedative. Calms the emotional heart, making it particularly useful for grief and shock. Induces calm, reduces anxiety, stress and blood pressure. Excellent mild sedative. Awesome mood booster that also relieves anxiety and stress with a sweet, citrusy scent. Grounding oil that induces calmness, tranquility, and self-awareness. Great for shock and panic attacks. Before we get into the oils, we must first understand the condition. Heart palpitations are a condition in which your heart beats abnormally, or asynchronously. Different people experience the symptoms in different ways; for example, some might experience something that feels like fluttering, while others feel their heart stopped for a moment, and another set will experience a flapping sensation. Regardless of the exact sensation, it’s a frightening experience to go through, especially the first time. Fortunately, they’re rarely harmful and usually go away as quickly as they showed up without intervention. Most of the time, they happen when you have had too much caffeine, alcohol, nicotine, anxiety, or stress. Rarely, this symptom can indicate something more serious is going on. Therefore, it's essential to see a doctor if you experience fainting, dizziness, shortness of breath, or chest pains along with your heart palpitations to first rule out something serious. Assuming you get a clean bill of health from your doctor, treating heart palpitations with essential oils boils down to treating your triggers such as anxiety, stress, nicotine use, lack of QUALITY sleep and more. Perhaps the most well known of all essential oils, lavender benefits you in several ways, including inducing a relaxing, calming effect. Lavender oil is considered to be a restorative for the nervous system, relaxing nervous stomachs, general anxiety, panic attacks, insomnia, restlessness, and irritability. To date, there have been several clinical trials that study the effects of lavender oil on patients who are suffering from stress and anxiety. In fact, lavender is the most broadly studied essential oil in the world. One study involved pregnant women in the vulnerable postpartum period that is notorious for high stress, anxiety and depression levels. The women were instructed to inhale lavender oil’s aroma every 8 hours for 4 weeks and at the end of the study period, those who inhaled lavender had significantly lower stress, anxiety and depression levels than those who didn’t (1). Another study also showed that the inhalation of lavender oil before facial cosmetic surgery reduced anxiety levels in patients (2). Other studies have also been completed that add credence to the use of lavender oil as not only a stress and anxiety reliever, but a mild sedative as well (3) (4) (5) (6) (7). To use lavender oil for your heart palpitations, simply inhale directly from the bottle, or diffuse 4 to 5 drops in a diffuser of your choice. 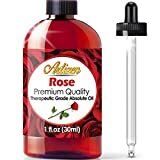 Rose essential oil benefits the patient by calming the emotional heart, making it a great choice for those who are grieving, in shock, or who otherwise have anxiety or depression. Pregnant women were part of a study published in the Iranian Red Crescent Medical Journal, in which one group of women received a 10-minute rose footbath, another group of women was given rose inhalation, and they were both compared to a control group. The findings were that rose oil given via footbath and aromatherapy did reduce anxiety in the study subjects (8). When faced with heart palpitations, inhale some rose essential oil directly or via diffusion and give yourself a soothing footbath (with a few drops of rose oil) as well. Another calming essential oil on the list, ylang-ylang oil can induce feelings of optimism, courage, cheerfulness, and a calmness as far as fear and anxiety are concerned. It can therefore also help with nervous palpitations and other heart agitations, even working as a strong sedative to relieve insomnia. Korean college Geochang Provincial conducted a 2006 study with ylang-ylang oil, as well as lavender and bergamot, instructing study subjects to inhale the blend once daily for four weeks. This dosage resulted in reduced blood pressure in patients who went into the study experiencing hypertension, and they were also less stressed overall (9). To use ylang ylang oil for your heart palpitations, simply inhale directly from the bottle, or diffuse 5 to 6 drops in a diffuser of your choice. Wild orange, also called sweet orange is citrus essential oil that can be used to soothe heart palpitations caused by stress and anxiety. It is an excellent mood booster as well and overall one of the most affordable essential oils you can find anywhere. In a 2012 study by the Federal University of Sergipe in Brazil, it was shown to have an acute anxiolytic (anti-anxiety) effect on volunteers who inhaled the scent before an anxiety-inducing activity vs not one, but two controls. The volunteers who inhaled the aroma were also less tense and more tranquil which shows that wild orange essential oil can be useful for calming your heart palpitations (10). Vetiver oil is not necessarily the most well-known oil, and that’s just unfortunate; it’s great for generating reassuring energy by grounding you and offering tranquility. It's a tonic given to the traumatized to induce stabilization, calmness, and self-awareness. These properties also make it great for shock and panic attacks. Natural Product Research published a study that examined how vetiver essential oils affected rats who seemed to have anxiety (11). More research is needed to verify this in humans, however, but anecdotal reports and testimonies have been extremely positive – indicating vetiver essential oil is a great essential oil for heart palpitations caused by stress and anxiety. As we mentioned earlier, essential oils have been a part of cultural medicine for centuries. If you’re getting pure oils, then you’re getting compounds made from distilling (or expressing) parts of a plant, nothing more. The majority of researchers agree there isn’t enough evidence supporting essential oils as far as heart disease goes which is why we encourage readers to consult with a doctor first to ensure that isn’t the source of palpitations. Evidence and personal testimonies, however, do exist that shows that aromatherapy helps with reducing anxiety and stress, as well as insomnia – the most popular triggers for heart palpitations. Note that it is only effective to undergo short bursts of aromatherapy at a time. If you expose yourself to the scent for over an hour, you start accumulating negative effects and none of the benefits. Never apply undiluted essential oils directly to your skin or ingest any oils unless you either have had proper training or are being medically supervised. Otherwise, be sure to do your research so that you can safely rely on essential oils to treat heart palpitations.